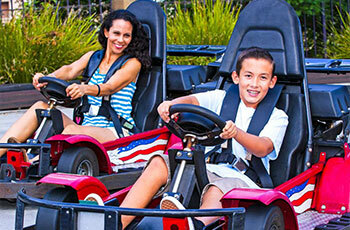 Race around our exhilarating go kart track. 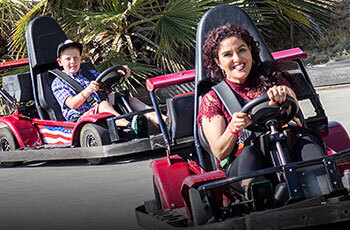 Enjoy side-by-side racing on our long stretches and wide curves, and test your behind-the-wheel skills! Height requirement: 56 inches or taller for drivers and 40 inches or taller for passengers. To carry a passenger, the driver must be a minimum of 18 years old and have a valid drivers license.